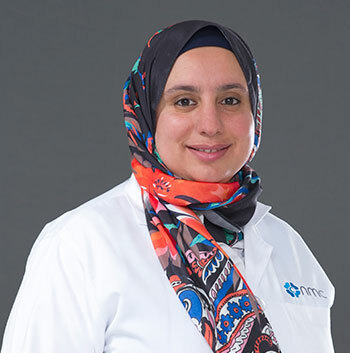 Dr. Rasha Aly Mohamad completed her graduation and master’s degree in Anesthesia from Alexandria University in Egypt in 2003 and 2009 respectively. She started her career from Abukir Hospital – Ministry of Health, Alexandria in 2009 and worked simultaneously with Louran Hospital in Alexandria, Egypt. She was also associated with Dr. Suliman Fakeeh Hospital in Jeddah, Kingdom of Saudi Arabia and Ibn Sina Hospital – Sabah Medical Area in Kuwait before joining NMC Royal Women’s Hospital in Abu Dhabi. Dr. Rasha specializes in pain management, general, spinal and epidural anesthesia along with insertion of central venous lines. Dr. Rasha speaks Arabic (native) and English.